This is for Octobear game jam, hosted by TigerJ. The theme of the jam was to make a game around a scientific theory. 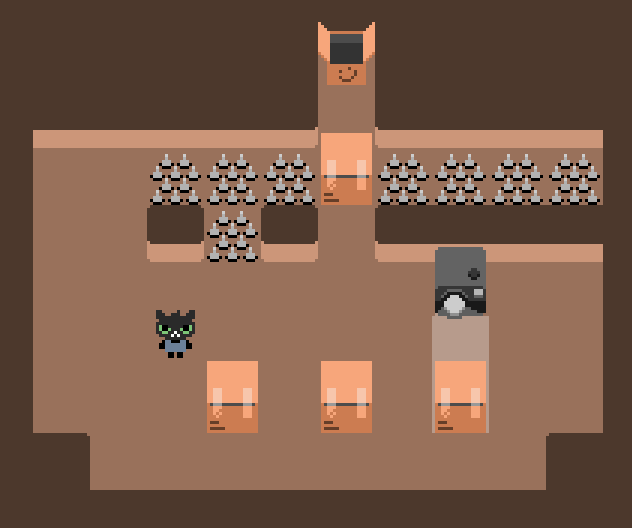 I chose the indetermination principle, toying with the schröedingers cat stuff. Can you do two things at once? Quantic cat is very good at multitasking. Game's really short and its almost not much more than the showcase of an idea. Arrows to move and do quantic stuff, R to reset, N to skip to the next level if you really need to. Great little puzzle game. Cool mechanic and very challenging! this what i called little great puzzle. What a great little puzzle game :) ! Well done ! Those levels are so tricky but very rewarding ! 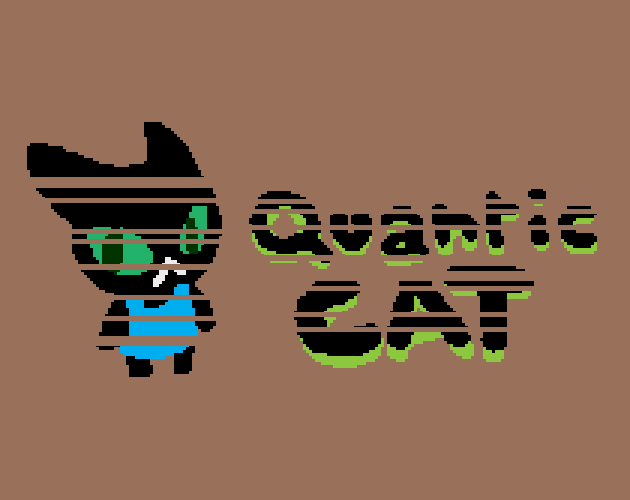 And I love the pixel art and animations (the little cat player character gives me a Night in the Woods feeling :)) ) ! I would of loved to be able to undo a move, because sometimes I made silly little mistakes that forced me to redo everything all over again ! But other than that awesome stuff ! Keep it up ! Yeah I really wanted to do the undo thing but I kept putting it away and in the end didn't have time. I was getting irked why there wasn't an undo button, but I quickly cool down when I remembered that 'simple' undo is actually quite complex when there's more than 2 objects to track based on my own game lol. Short but great concept btw!